A Nigori Sake, reminiscent of melting snow. 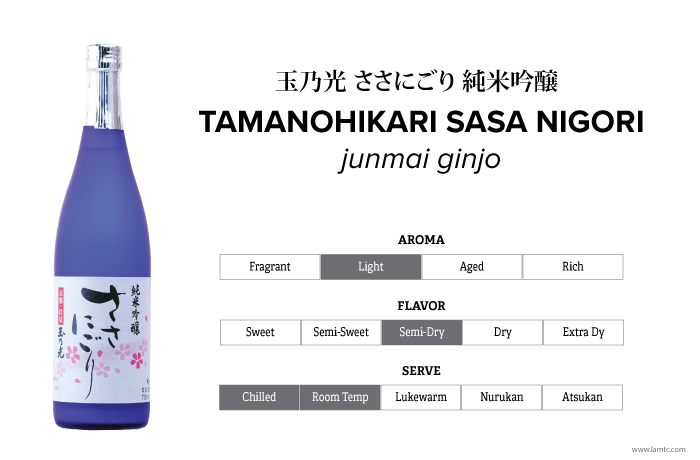 With a soft mouthfeel, characteristic of nigori, this Sake also features the refreshing acidity of a Junmai Ginjo that pairs well with a meal. Available in limited quantity.